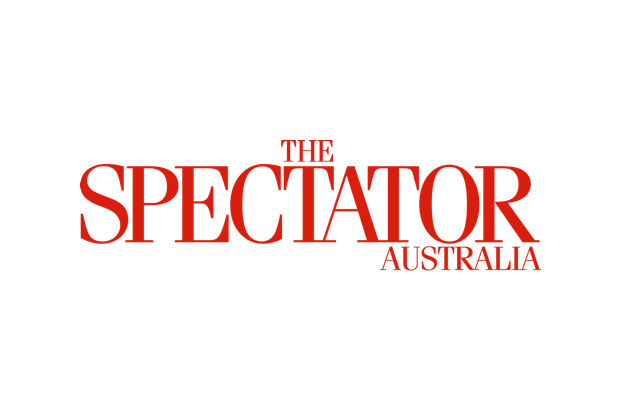 Last week in the Australian Noel Pearson wrote a piece responding to Graham Richardson’s earlier claim in the paper that the indigenous constitutional recognition proposal was doomed to failure at any s.128 constitutional referendum. In fact Richardson said it would be ‘slaughtered’. Pearson responded by accusing Richardson of ‘lazy commentary’. In fact Pearson went on to imply that the Referendum Council’s proposal for some sort of a special advisory body to parliament was what I will call a type of Goldilocks option, supposedly in just the right midway position between a minimalist, symbolic and pretty meaningless option (say, re-writing s.51 (xxvi) and removing s.25) and a substantive, morally laden, big changing option (say, inserting a racial non-discrimination clause).According to Pearson this Goldilocks option ‘is the only model that doesn’t empower the High Court, respects parliamentary sovereignty and eliminates uncertainty’. He even claims it is the option for constitutional conservatives. As surprising as it is for me to find myself agreeing with Richardson, on the key points I do. First off, I have no clue on what basis Pearson can claim his proposal won’t empower the top judges on our top court. This is the same top court of ours that has ‘discovered’ (I would say ‘made up’) an implied freedom of political communication on the most implausible of interpretive bases and without the need for any added words at all, a supposed freedom that had lain invisible for nine decades. Likewise, these are the same judges who regularly today use proportionality analyses (borrowed from jurisdictions with bills of rights), who make reference to judicially invented separation of powers principles and who effectively ignore the constitutional authors’ intentions with a gusto. But Pearson purports to assure us that inserting a chamber or body representing aborigines will not be a vehicle for future judicial adventurism. Yet that flies in the face of this country’s constitutional jurisprudence. To the contrary, then, Pearson’s desired change could easily be a springboard to yet more judicial adventurism. A betting man, looking at the court’s history, would say that it will. The same goes for claims about not undermining parliamentary sovereignty and not engendering uncertainty. Pearson cannot cash the cheques he is trying to issue because he won’t be the one deciding future cases where activist lawyers try to get the top judges to bite on, shall we say, novel interpretive ploys that attempt to point to or leverage off this new body. So if Richardson in a short op-ed piece was being a ‘lazy commentator’ then so was Pearson in replying to him. Next there is Pearson’s attempt to claim the cloak of conservative constitutionalism and to imply constitutional conservatives support this sort of Goldilocks proposal emanating from the Referendum Council. Well, I consider myself to be a constitutional conservative and I know a lot of others who are as well and very, very few support this. I certainly do not. Pearson can only point to Julian Leeser, which makes his an n=1 argument. True, Leeser was against the Republic and a bill of rights (both correct in my view). But he is pretty much a lone constitutional conservative voice on this, as I think even Leeser would concede. And that is to assume that Leeser’s positions since being elected to parliament – say, his taking the side of Photios and against Tony Abbott on the reform of pre-selections in NSW or his being against repeal or even significant enervation of the 18C hate speech laws – haven’t made him an apostate to other constitutional conservatives. Let me put it this way. If you are looking for constitutional conservatives par excellence then at the end of this month the Samuel Griffith Society is having its annual meeting in Perth. (Quick plug: sign up and go to the SGS conference. You’ll hear Peta Credlin, Tony Abbott, some of this country’s top judges, and a lot more.) This is home base for constitutional conservatives and I doubt Pearson would find many (or any) supporters there at all. Nor would he find many in the pages of this magazine or in Quadrant. So for him to try to claim for his proposal the mantle of ‘acceptable to constitutional conservatives’ is a pretty big stretch. Okay, it’s downright misleading. Then there is Richardson’s prediction that this referendum will be slaughtered at the polls. Well, I agree with that too (and for what it’s worth I predicted the Brexit and Trump outcomes). I can’t see this winning, and I say that even though we know that the ABC and a good few publicly listed big companies like Qantas will line up behind this, almost regardless of the actual content of the proposal. And I say it even though Mr Shorten and Labor will be on board, again almost irrespective of the proposed change. And I say it even though it’s quite possible the Yes and No sides will not be funded equally. Granting all that I still say, with Richo, that it will lose and lose easily. Sure, it could cause some headaches for a Liberal Party that is already fracturing philosophically. To the extent Mr Turnbull has any strongly held values at all they seemingly lean without exception towards the progressive, ABC-endorsed, politically correct variety. In the privacy of the ballot box I’m betting he’d vote with Pearson. So would most of the Black Hand wing of the Liberal party (the furthest left MPs in the party room – the ones the ABC dubs ‘moderates’). But more of the party room would probably be opposed and most Australians certainly will be. Why? Because this Pearson proposal effectively asks us all to grant different inputs and special entitlements to a few people based solely on their genealogy. Good luck with that. Oh, and the way it’s come about looks like a stitch-up job. Plus, it makes future judicial adventurism pretty, nay very, likely. So while Pearson may wish it were otherwise, I think Richo’s prediction is correct.